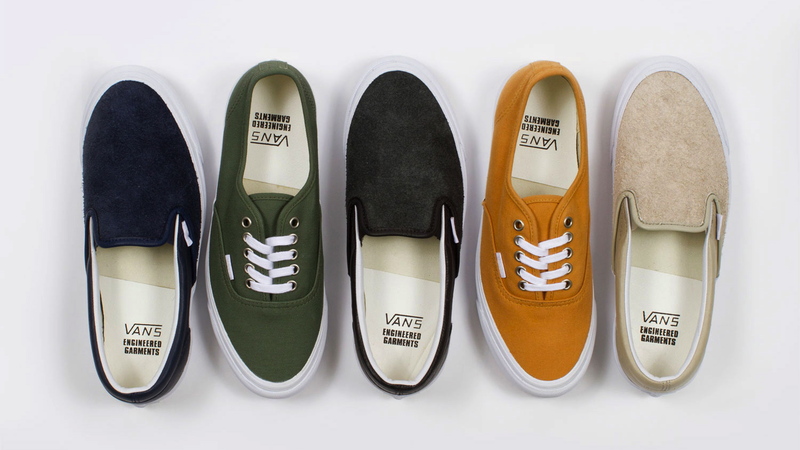 Vans Vault and Engineered Garments will release a special collection next week at Nepenthes New York. 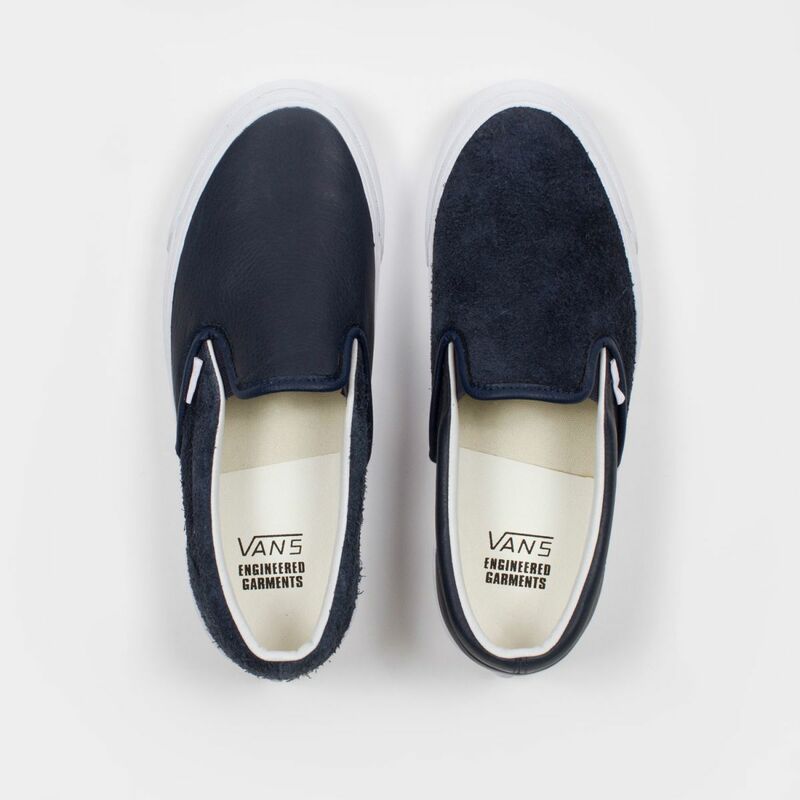 Vans Vault and Engineered Garments teame up this fall for a special collection, combining Vans skate heritage with the refined approach of Daiki Suzuki's popular label. 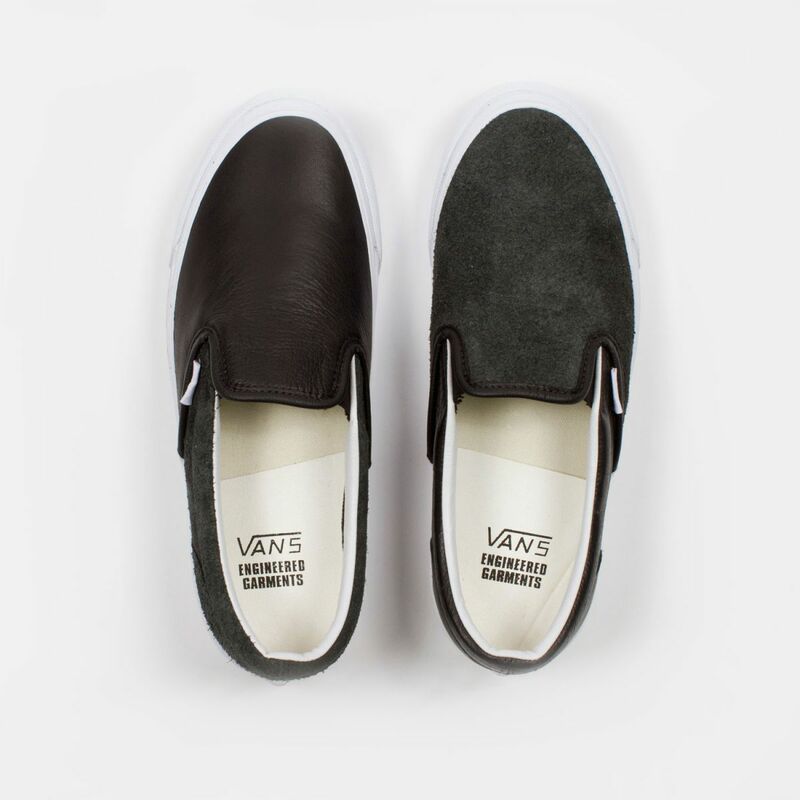 The collection includes three colorways of the OG Classic Slip-on LX, each utilizing a "positive-negative" concept with alternating smooth leather and unfinished hide surfaces. 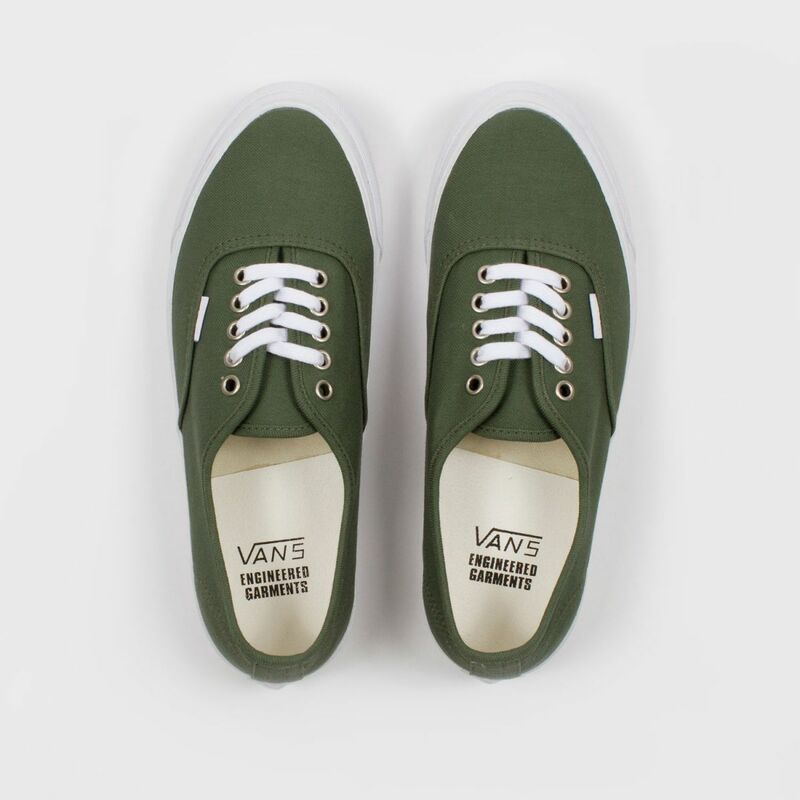 The design language of Engineered Garments also comes into play with a special OG Authentic LX, arriving in both olive reversed sateen and Sunforger cotton canvas. 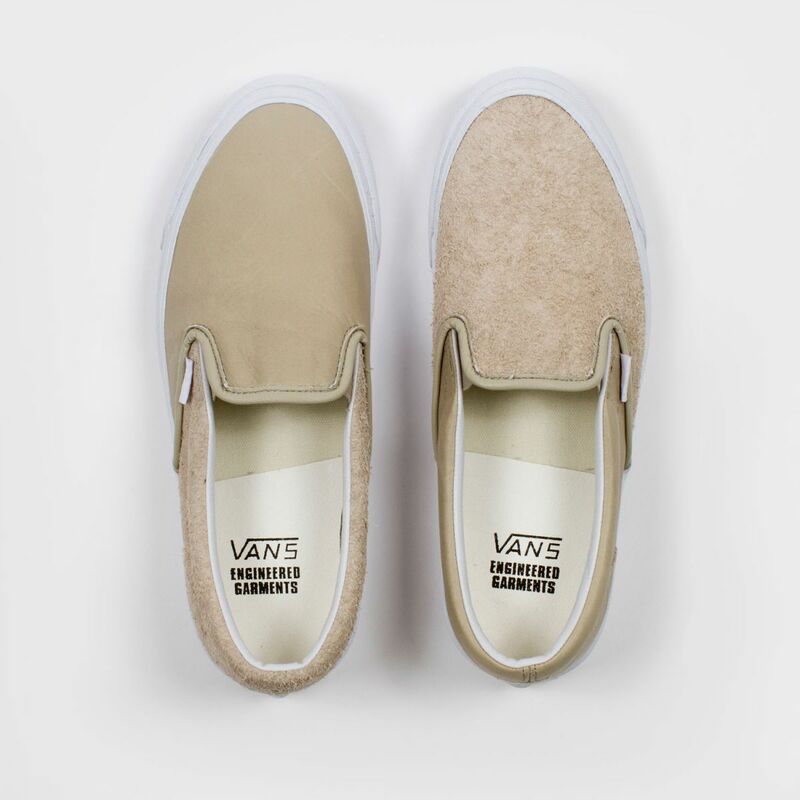 The Engineered Garments x Vans Vault Collection will release exclusively at Nepenthes New York on Tuesday, September 10. 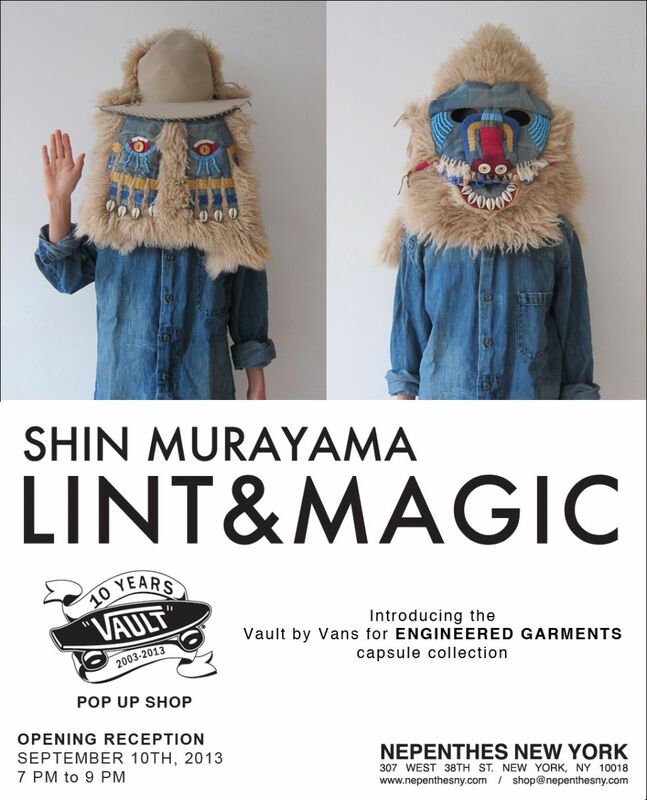 Vans Vault is celebrating the occasion with a pop-up shop at Nepenthes, along with an opening reception featuring art by Shin Murayama.